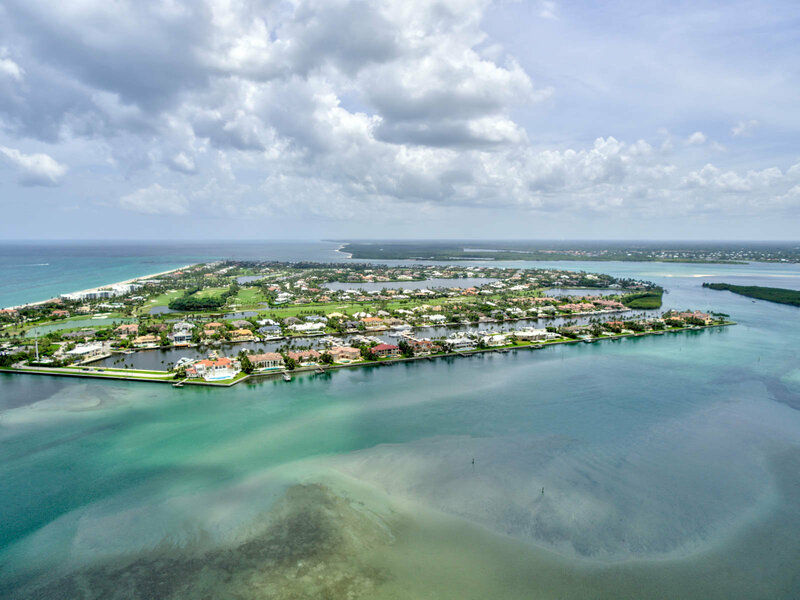 With the Indian River to the west, the St. Lucie Inlet to the south, the Atlantic Ocean to the east and the narrow strip of Hutchinson Island to the north, Sailfish Point is private, world-class and unique. This 532-acre sea island community of 520 homes offers every amenity, makes every option available, then stands ready to help you enjoy it. Here, in the finest of Florida oceanfront property, residents enjoy beach, marina, golf, tennis, fitness, spa, privacy and security. Sailfish Point combines all this with the opportunity to live in one of the world’s most naturally beautiful settings in a breathtaking range of living possibilities from spacious beachfront homes and home sites to intimate oceanfront condos, link side villas and townhomes with private docks. Stretching along ocean and river, this 7,088-yard, par 72 is basically your own private 18 holes of Jack Nicklaus Signature golf. The Sailfish Point Marina and Yacht Club is one of the largest bulkheaded, privately owned marinas in Florida. The private, full-service, deepwater marina offers 77 slips and can accommodate personal watercraft and vessels up to 125 feet long. Sailfish Point spa offers every service for your comfort such as specialty massages, body treatments, facials, manicures, pedicures, makeup, hair removal, nail services and complete hair care. Both men and women enjoy the rejuvenation, relaxation and health benefits of the numerous services provided exclusively for Sailfish Point residents and their guests. The staff of the Sailfish Point Spa is comprised of professionals, each with over 10 years of experience and each continually updating skills and learning new techniques. The Sailfish Point Fitness Center has everything for training and fitness at every level. Personal trainers are available to provide a complete fitness evaluation and workout regimen on some of the very latest in cardiovascular and weight-training machines, and free weights. A full calendar of classes in pilates, yoga, spinning, dance, jazzercise and general fitness is offered.